Post summary: How to run code coverage of your unit tests as part of your build on Linux build agents. 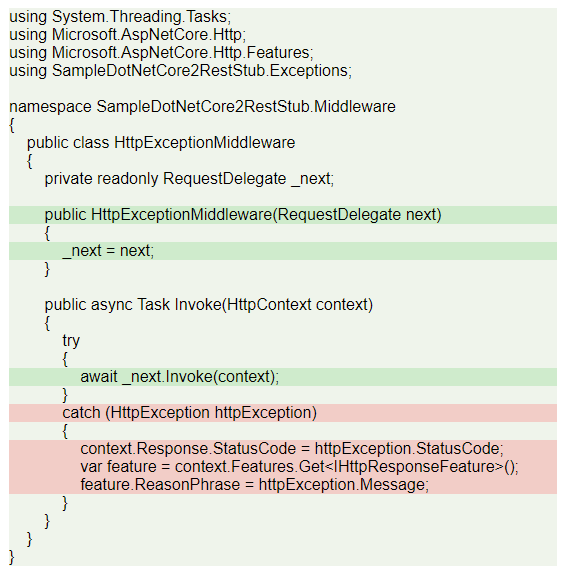 Code below can be found in GitHub SampleDotNetCore2RestStub repository. 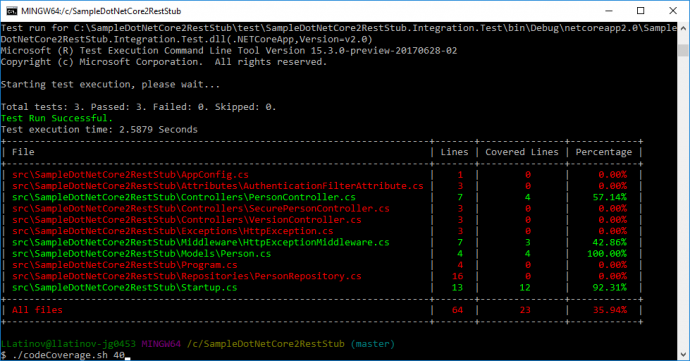 In Code coverage of .NET Core unit tests with OpenCover post, I have shown how to do code coverage with OpenCover. Commands shown in that post can be made part of your CI or CD build. There is a but though, this works only for windows. If you are having build machines on Linux you need another alternative. In this post, I’m going to show this alternative. MiniCover is a lightweight code coverage tool for .NET Core on Linux. It is in an early stage yet and there is no big community, but I really hope this is going to change soon as it looks a very promising tool. In case of a project structure where you have your code in src folder and your tests in test folder following bash script can be used directly. It accepts as parameter threshold coverage percentage, if not provided it uses 80% by default. 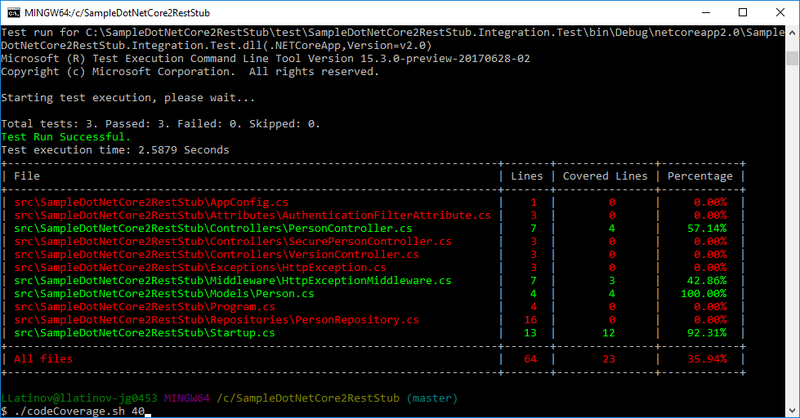 Script restores NuGet packages and builds the projects. 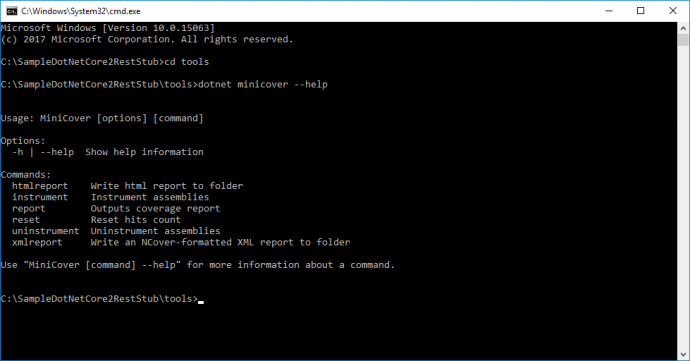 It navigates to tools folder and restores NuGet packages again. This is very important as it is the only way to get MiniCover NuGet package. Inside tools folder, it instruments assemblies and resets previous statistics. Script navigates to root folder and runs all tests inside every project in test folder. Afterward, script navigates again to tools folder and uninstruments all assemblies so far. No matter this operation is safe I would recommend to run one more build or publish before assemblies go into production. In the end, the script generates reports. echo "Threshold should be between 0 and 100"
There are 3 types of reports: Console, HTML and NCover XML. Console report is dumping results to the console and returns 1 if given threshold is not met, which basically fails the CI/CD build. In the example below, codeCoverage.sh was called with argument 40, which means threshold is 40%. HTML report is also failing the build and gives similar summary information as console report, but also give detailed information for each class coverage. An example report can be found in MiniCover HTML report. I have to praise myself, as the summary file that is shown below was something I contributed, because I like the project very much. 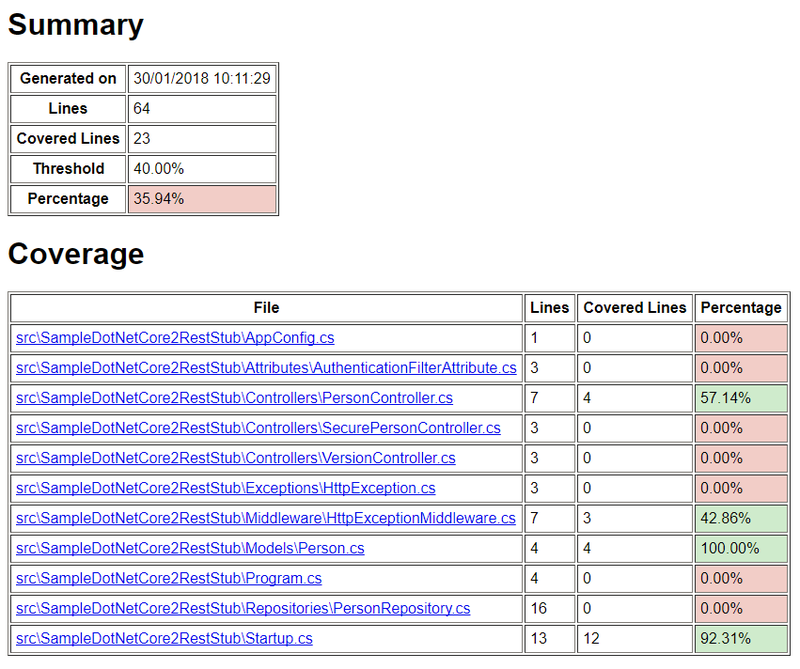 NCover report creates XML file in its format. The beauty of it is that you can additionally use ReportGenerator on Windows machine and convert XML to nice HTML report. Assuming ReportGenerator is extracted on your C:\ then the command is shown below. The report can be found in MiniCover ReportGenerator report. If you check both OpenCover .Net Core report and MiniCover ReportGenerator report you can notice some difference in metrics. First is that MiniCover does not support branch coverage. This is not that bad after all if you have your code nicely indented, line coverage is sufficient. For e.g., if your ternary operator is not on one line, but on three and you have missed testing one of the conditions, then line coverage will state that there is a not tested line. If the ternary operator is on one line though then line coverage will miss this test problem. Another difference is Coverable lines and Covered lines. OpenCover counts opening and closing brackets as such, so its numbers are bigger. Because of this conceptual difference Line coverage percentage has a small difference. MiniCover (35%) is more generous and give more percentage than OpenCover (33.6%). MiniCover is very nice and compact tool that can be put in place during your continuous integration or continuous delivery to measure code coverage on each build. The most important advantage is that it is designed and works on Linux.